As a financial adviser you boast a wide range of skills. While you may know your products and the industry inside out, how good are you at other aspects of the job such as marketing and self-promotion? 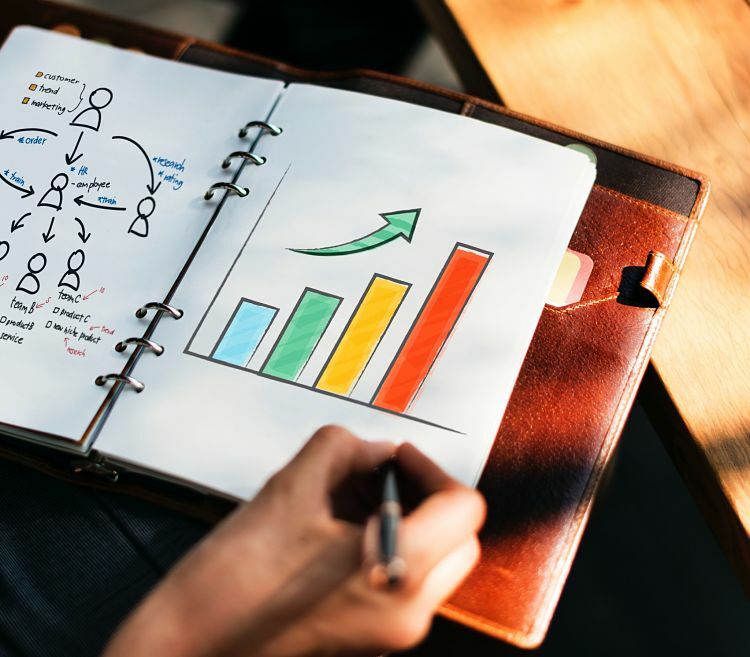 If you want to grow your client base, here are seven simple ways that you can increase the effectiveness of your marketing. Marketing to your existing clients is a simple and effective way of drumming up new business. Contrary to what you might think, your clients want to hear from you. Share your knowledge and expertise and make them aware of other products and services that you offer, which they may not be aware of. Don’t ignore existing clients and assume they already know everything you offer. Send them a regular update. Increasingly, your website is the first impression that people have of your business. So, it’s important that your site looks professional. Are you using a stylish font that looks good online? Are there good quality photos and images of you and your team so people know who they are dealing with? And are the colours and layouts that you are using creating the impression that you want? Ask a local web designer to review your site and make suggestions for improvement. It can also pay to hire a copywriter to ensure that the words on your site are as persuasive as they can be – and to avoid spelling errors and typos which can look unprofessional. Facebook allows you to run highly-targeted ads. This means you can advertise to potential clients living in a specific geographical area, with certain interests and incomes. Start by running ads with a low daily budget, so that you can assess the clicks and leads that you are generating. You can set a low daily limit and monitor how well your ads are performing. Regularly change the messaging or design so you can see what works for you. Sending cards to clients is a highly personal touch, demonstrating that you value your relationship. It evokes a sense of loyalty and can lead to good word-of-mouth referrals from your existing clients. Joe Girard, regarded as the world’s best car salesman, sent out nearly 13,000 greetings cards per month to his customers celebrating everything from Christmas to Groundhog Day. Clients viewed Joe not just as a salesman, but as a member of their family. Imagine the type of influence he had! Local clubs, charities and community organisations are always looking for speakers to come and give talks to their groups. Educational institutions, churches, charities and special interest groups are constantly on the lookout for interesting speakers. Tailor the contents of your talk to your target audience. Depending on your audience you might talk about the benefits of life insurance, pension planning, investment strategies or will writing. While you may not be paid for these appearances, you can leave your business cards and invite audience members to contact you if they need further advice. Local news sources such as newspapers and local radio frequently need experts to provide commentary and advice on issues. Reach out to journalists or producers in your local media. When there is a personal finance story that they want to cover, they may well get in touch with you to provide some expert industry analysis. This helps you to improve your profile in your local area and positions you as ‘the local expert’. If you’re an impressive performer on the radio or TV, you may even find that national networks begin to call you when they need a trusted expert. Sponsoring a local sports team or community event gets your name in front of a lot of local people and potential clients. It also shows that you’re interested in and committed to your community. Clients like to be able to trust their financial adviser, so by sponsoring and attending local events people can put a face to the name, and you can connect with both current and potential clients. Is there a kids’ football team near you who needs a sponsor? Or a local charity event? How can the Financial Advice Network help you market yourself? When you join the Financial Advice Network, we offer you the expertise and tools you need to grow your business with reduced regulatory risk, optimum cost-efficiency and access to technology that can streamline your procedures. Allowing for you to market yourself more efficiently, enabling you to grow your client base. Get in touch with us to find out more about how we can help you when you join our network.